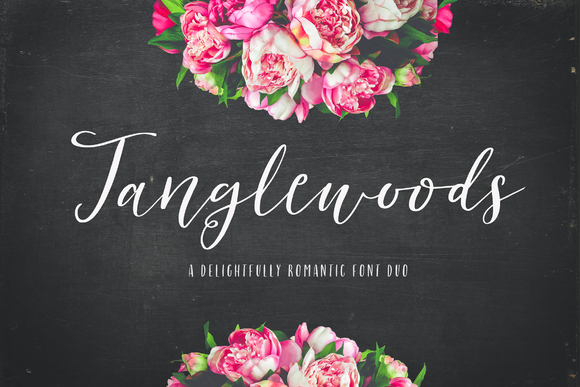 Tanglewoods Script is a romantic calligraphy typeface created by Nicky Laatz which is available in 4 styles, an extra dingbat, over 60 beautiful flourishes and embellishments, double letter ligatures and alternate lower letters. Also it comes with multilingual support. It is ideal for your romantic projects. Have fun! A font description published on Monday, November 7th, 2016 in Fonts, Nicky Laatz by Alexandra that has 2,677 views.